I LOVE the festive necklace! And looks so good! Hi, thank you for the comment, Yep, it was Saint Patty’s Day, so he needed some bling. Sounds good! So what time is dinner tomorrow? 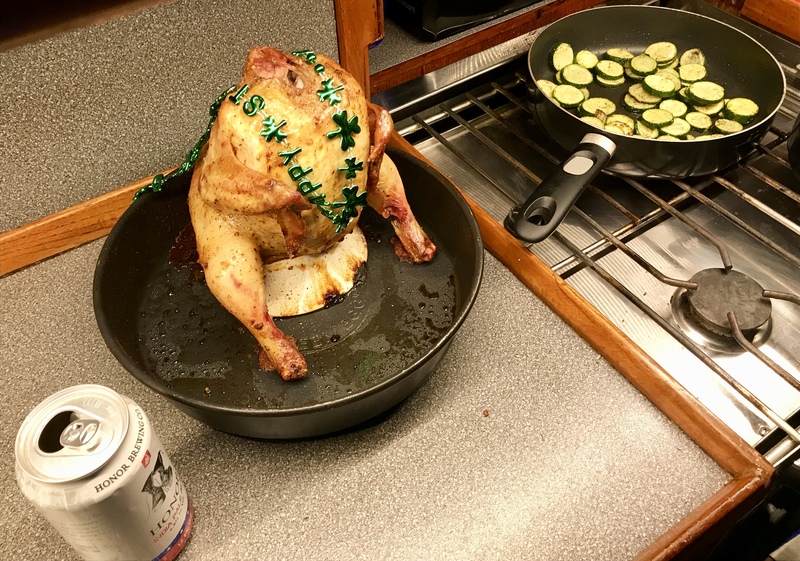 ; ) Is this how you dress a chicken for dinner? We dressed him that night but usually just eat. 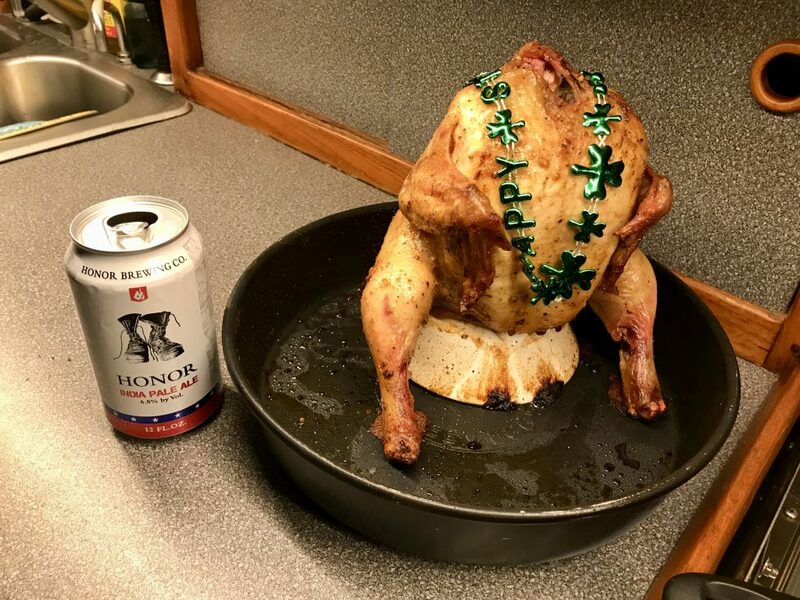 I’m glad you didn’t do what many folks do and put the beer can up the chicken. If folks knew the chemicals used in a beer can they would NEVER. Do that. The heat releases many of the toxins into the bird and who ever eats it. Yeah, that’s a good reason not to do it. Thanks for the reply and the info, I’ll be sure to include that next time I do a Beer Can Chicken and discuss it here. You should think about following us to keep up on our Green Egg Adventures, I don’t know too many other boats with one of these. I LOVE cooking on it.